The SUV and 4x4 segment has seen huge growth in the past five years, and with more and more sporty SUVs such as the Porsche Macan, Audi SQ5 and BMW X5M coming to market, the demand for ultra-high performance tyres in SUV sizes has been increasing dramatically. 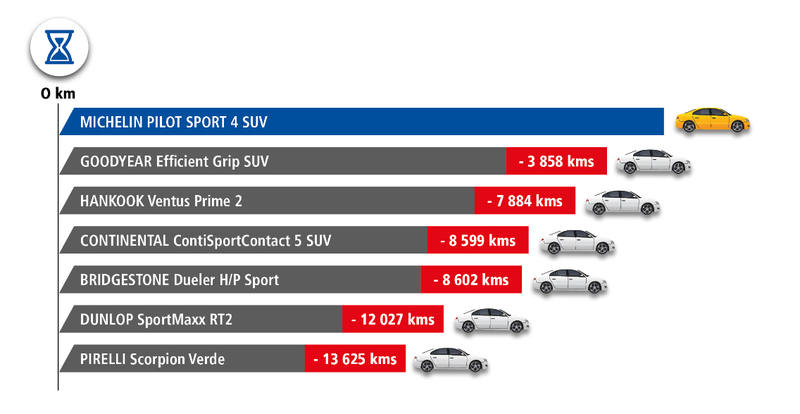 Fortunately, Michelin has just reacted to that heightened requirement by launching the Michelin Pilot Sport 4 SUV. 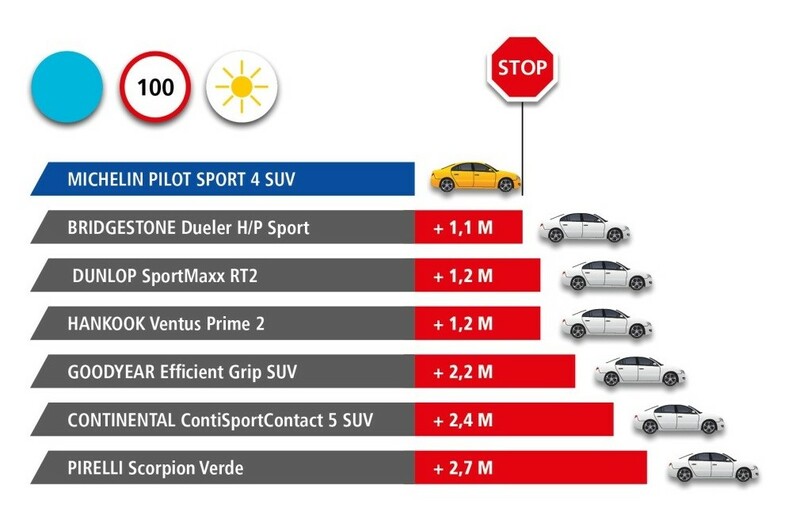 The Michelin Pilot Sport 4 SUV is an extension of the hugely successful Pilot Sport 4 and 4S product lines, which have been leading the ultra-high performance car segment for a number of years. Building on the already strong foundations, Michelin has adapted the tyre to better handle the higher centre of gravity and heavier bodyweights SUVs generally have, and developed the PS4 SUV in conjunction with some of the most demanding SUV manufacturers, such as Porsche. Like the PS4, the new SUV tyre has an asymmetric tread pattern with the outer part of the tread optimised for dry grip and cornering, and the inner part focused on providing the best grip possible when it’s wet. The construction of the tyre is also improved, with a two layer high density casing ply and ridged tread blocks allowing the tyre to keep Michelins usual long tread life. To prove the new tyres credentials, Michelin contracted independent testers TUV SUD to test the PS4 SUV against six of the leading competitors. TUV tested dry and wet braking when new and worn, dry and wet handling, and tread life of the new Michelin, against the Goodyear Efficient Grip SUV, Continental SportContact 5 SUV, Dunlop SportMaxx RT2, Pirelli Scorpion Verde, Bridgestone Dueler H/P Sport and Hankook Ventus Prime 2. 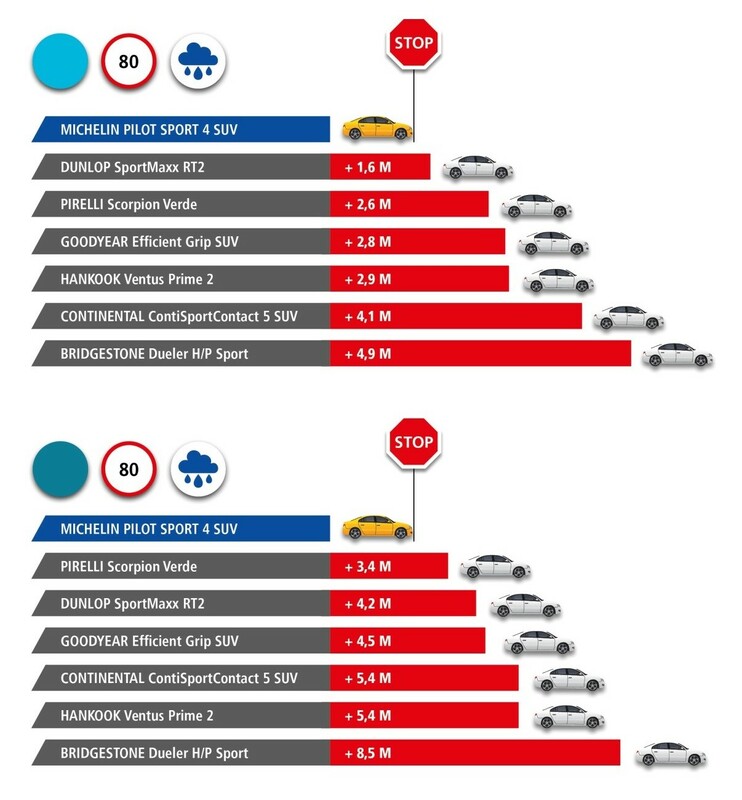 In the dry braking, the PS4 stops on average of 3.15 metres of the competitors tyres, with the gap widening to 5.2 meters when worn. In the wet it’s a similar story, with the Michelin best when new, and the gap increasing when worn. 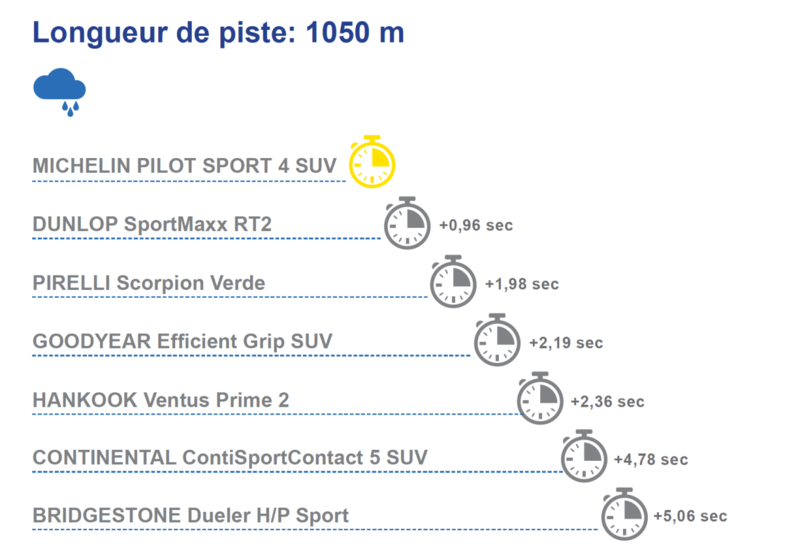 During the wet handling lap, the Michelin Is again best, faster an average of 2.88 seconds over a 1,050 metre circuit. While the wear testing showed the Michelin to keep it’s usual wear advantage. While time on the new tyre was limited, I had the oppertunty to briefly drive on the new PS4 SUV using an Audi Q5 in Portugal. The tyre seemed to be comfortable, and offer high levels of grip, and during a brief braking test compared to a competitor, the Michelin was more stable and stopped in a shorter distance! That said, without a comparison tyre is was difficult to tell, so I plan to do much more SUV testing in the future - keep an eye on the site! The new Michelin Pilot Sport SUV will be available in 53 sizes, from 17” to 23”, and while it officially replaces the Michelin Latitude Sport 3, the out going tyre will continued to be offered in certain sizes. Published at March 29th, 2019, 9:30 am, by Jonathan Benson.